At Spotter Buddy, we understand the dangers to workers and capital equipment associated with mobile equipment on your job sites and in your facilities. Spotter Buddy provides real-time bi-directional communication from the spotter to the driver. Therefore, Spotter Buddy protects employees from injury, or even death with the push of a button. The Spotter Buddy’s patent-pending technology is invested to reduce risk by allowing the Spotter to remain in the safest possible area, rather than in the deadly line of fire. 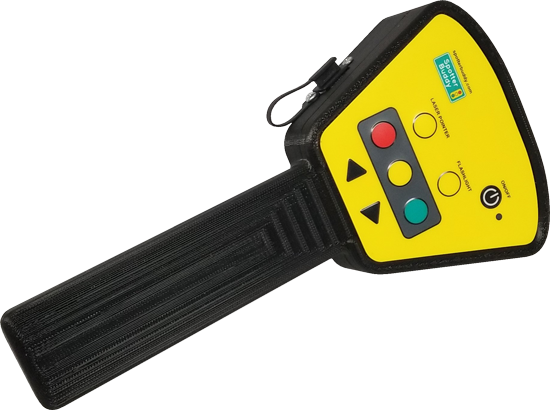 The Spotter Buddy Hand Held Transmitter assures the Spotter that the Driver receives the Spotter signal. For instance, a vibration feature is built into the handle to alert the Spotter. Additionally, the Driver sees a red light and hears an audible “Stop” alert. The Spotter Buddy Cab Unit is positioned in the cab within view of the driver. It includes a 2.4 GHz Spread Spectrum Radio IEEE Std. 802.15.4™ Compliant RF Transceiver. Additionally, Factory Synced RF Transmitter allows for multiple units to be used without fear of cross-communication. Contact SunnySide Supply today to increase spotter and worker safety on your job sites and warehouses. For information on how you can apply for Business Credit with SunnySide Supply, please email or call today to receive an application.